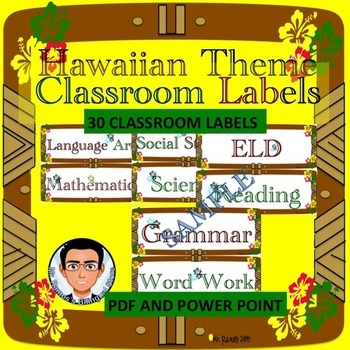 I created this Hawaiian Theme Classroom Labels to go with my Hawaiian WBT Rules. 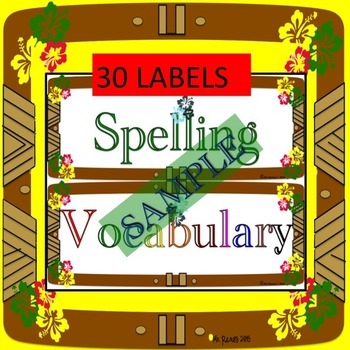 Enclosed you will find 30 classroom labels in a 16 page PDF File. 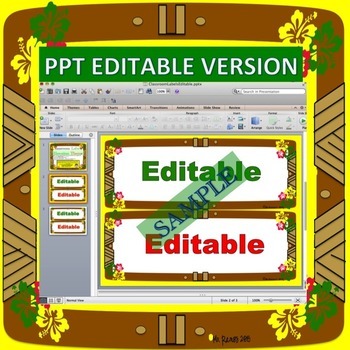 Also I included an “Editable Power Point” I created with a pptx. 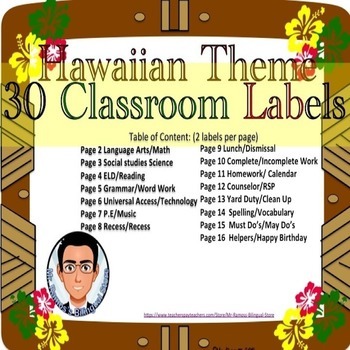 For faster download make sure you have the latest version of Adobe Reader.